Office Design : Part 1 | Design Ergonomics Inc. The following is a reprint of an article entitled, “One Dozen Essential Elements of a Great Dental Office Design” by Dr. David J. Ahearn. The contents of this article are Copyright © 2000, Dr. David J. Ahearn. All rights reserved. One of the most valuable and lasting improvements that any dentist can contribute to a successful practice is an investment in great office design. Whether remodeling an existing office or creating a brand new facility from scratch, there are several essential elements to focus on in designing an office that will help create a more productive, comfortable, quiet and user-friendly practice. There are many distinct styles of practice. Clearly, dental office design is an individual matter based on one’s needs and budget. Nevertheless, the following key issues are common to any office: esthetics; the empowerment of key personnel; controlling noise; and creating rapid access to key equipment and materials. The next two articles contain the 12 elements essential to your success. They will provide you with what you need to know- from creating a sense of excitement to the effortless integration of high tech equipment into your practice. The new office should be large enough to comfortably accommodate the needs of your personnel and patients. This statement seems quite obvious, however, we are continuously asked to consult on new (sometimes completed) office designs that, upon evaluation of the practice and its future, reveal plans that are significantly under or oversized. A careful assessment of the practice numbers including a procedure analysis will provide a good indicator of the appropriate targets. 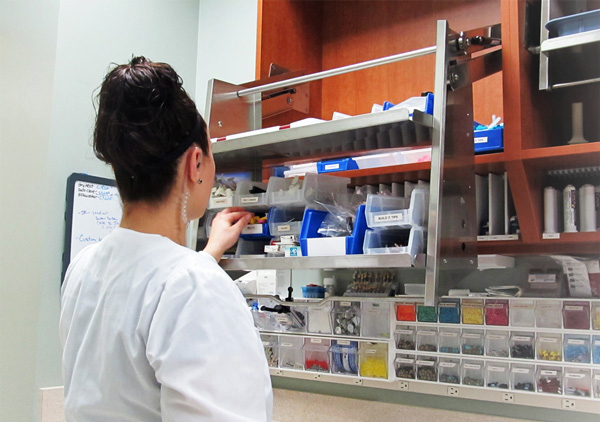 The goal is to create a patient flow that allows high efficiency while preventing systems bottlenecks. 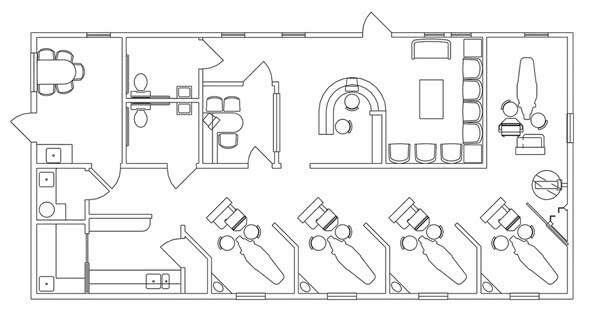 FIGURE 1 : Example of a compact office with high productivity, ADA compliance and ease of construction. FIGURE 2 : A simple plan for breakdown and redeployment. 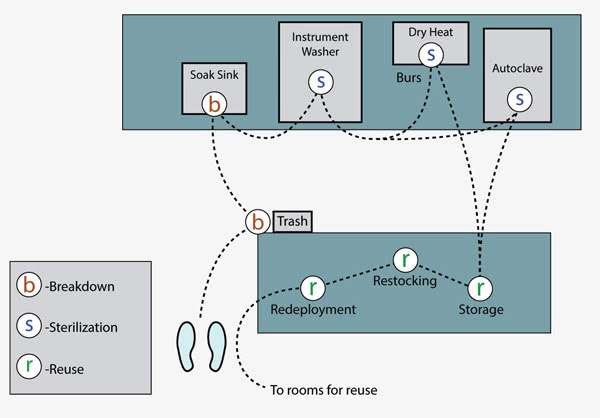 FIGURE 3 : Download supplies from an efficient central restocking site. These principles serve as the design foundation for your practice. In the following article we will complete your list with a discussion of integration, consolidation and mobilization as well as cost and the “wow” factor.